My own cards! 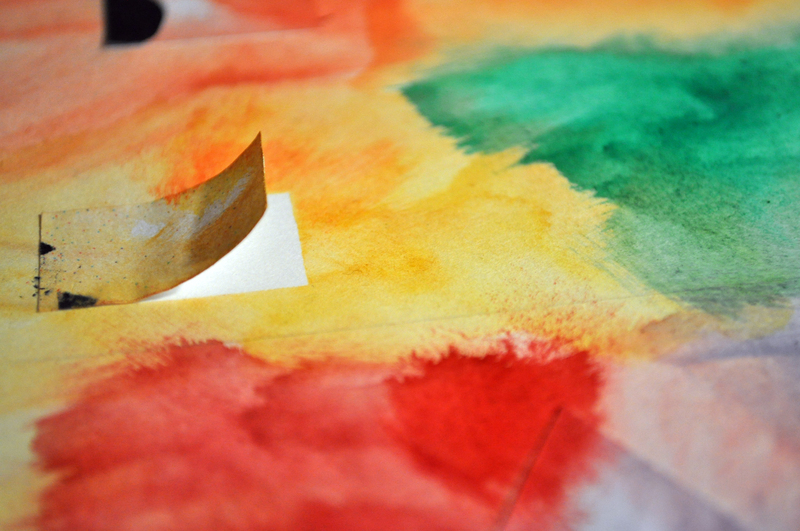 I’m already running out of them…I should do new ones! 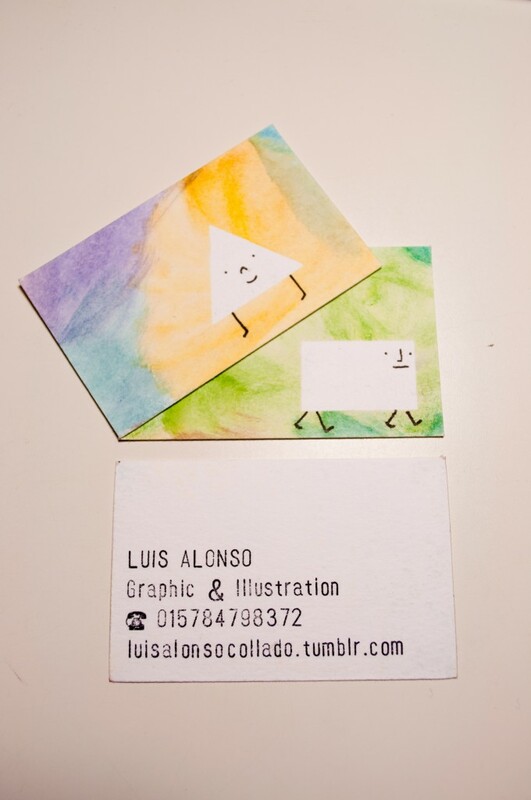 I glue some geometric little papers to use their negative form to draw my friends on it. 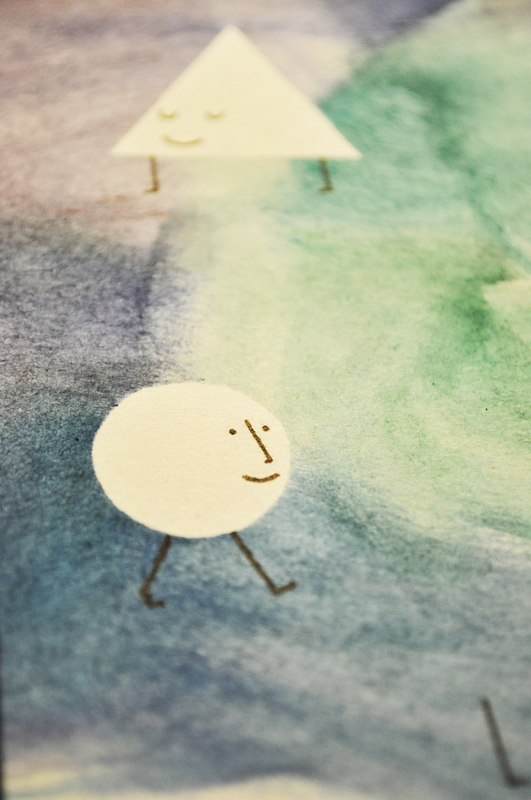 My friend Mr. Circle, he is so cocky…He thinks he is perfect. 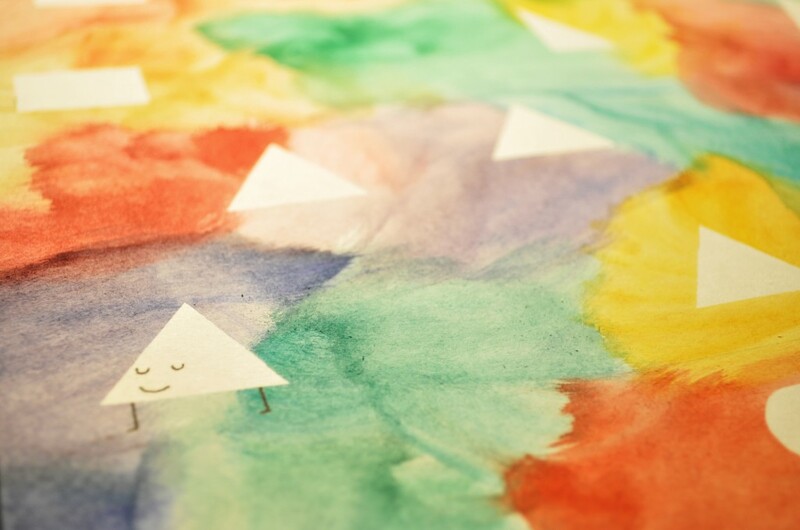 Three triangles, the big one is so proud to be the first. Business cards ready to go!